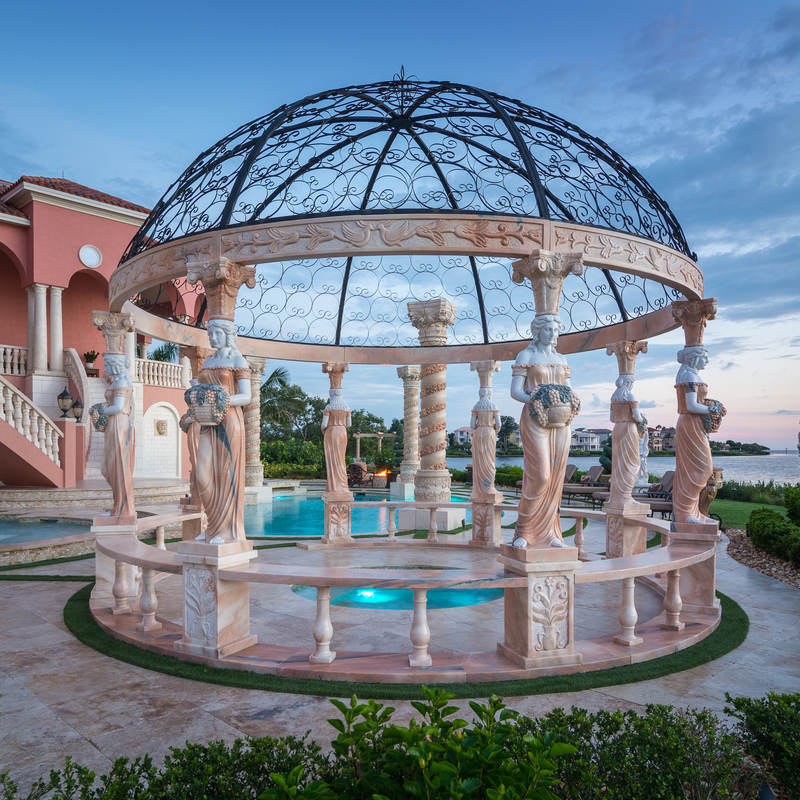 On episode 10 of Insane Pools Lucas faces an epic challenge building a Roman Pool fit for a palace on the Gulf of Mexico. 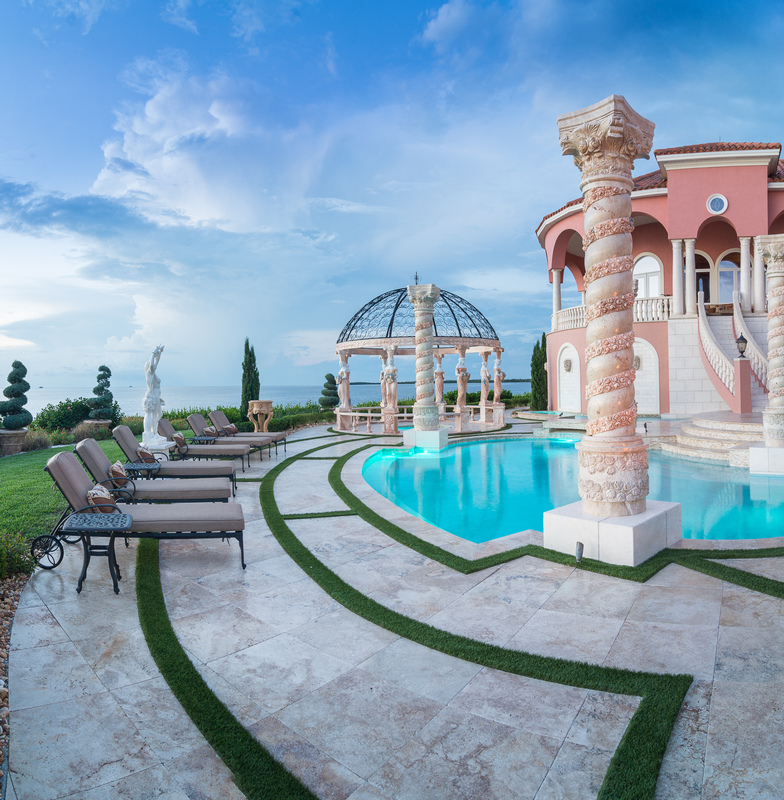 Lucas journeys far outside his comfort zone and even taps Emperor Caesar for help on his quest to fulfill his clients’ dream of living in a castle by the sea. 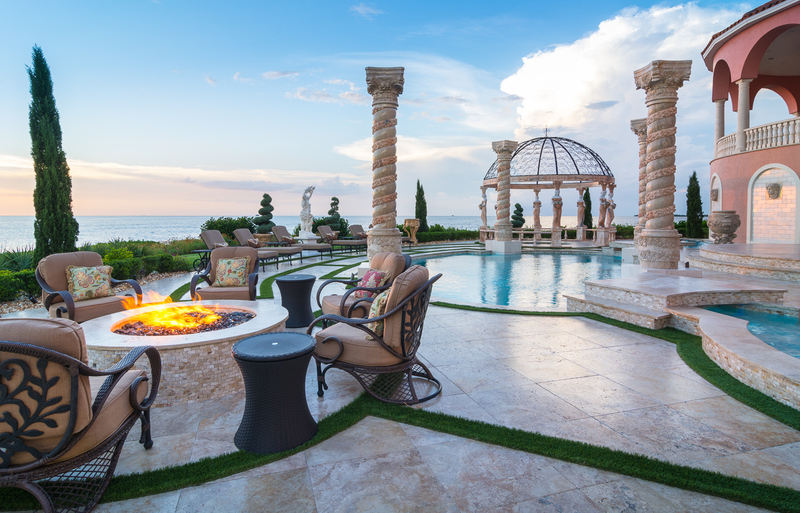 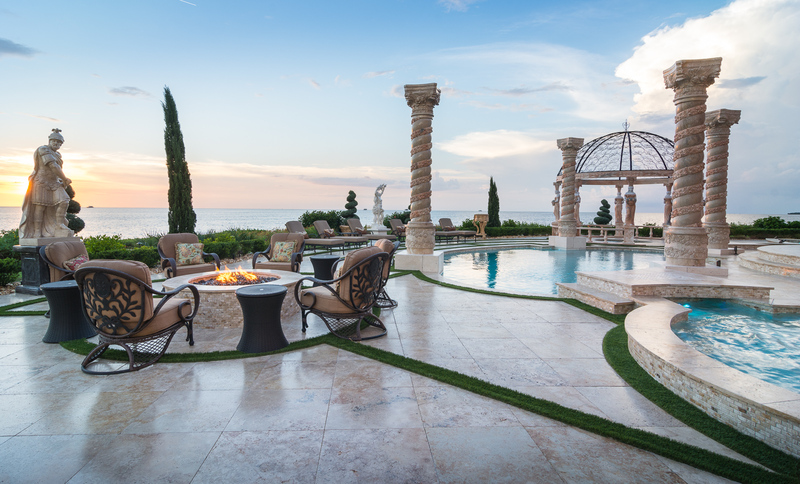 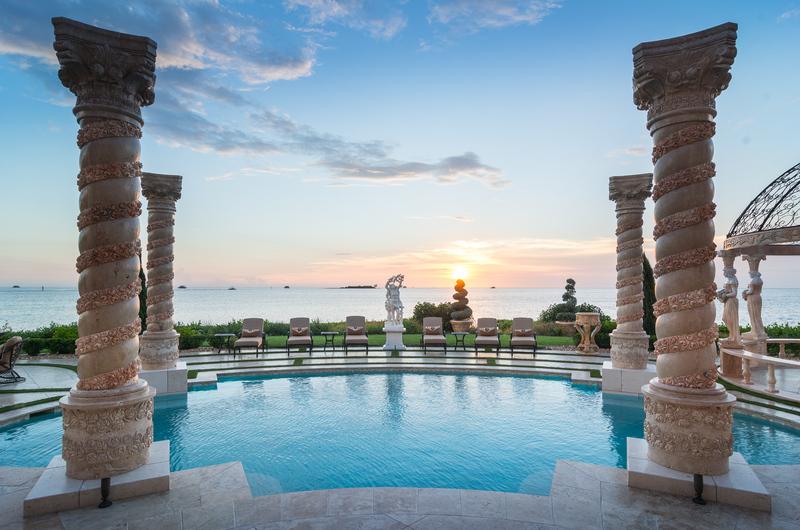 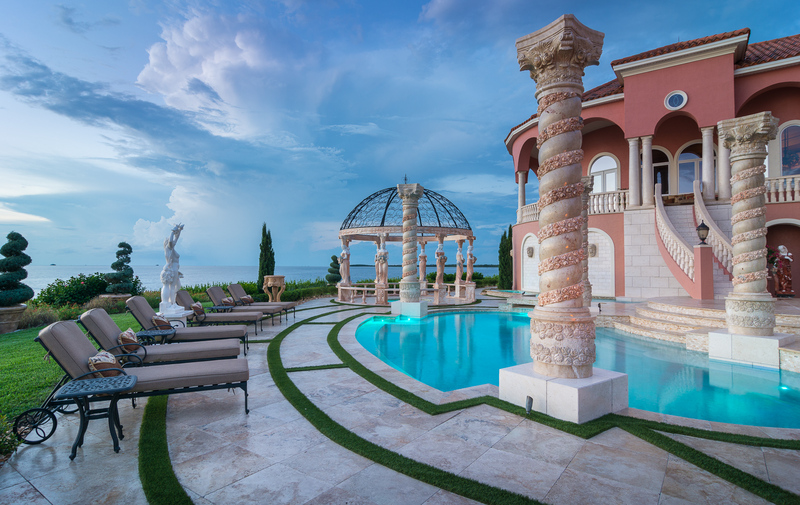 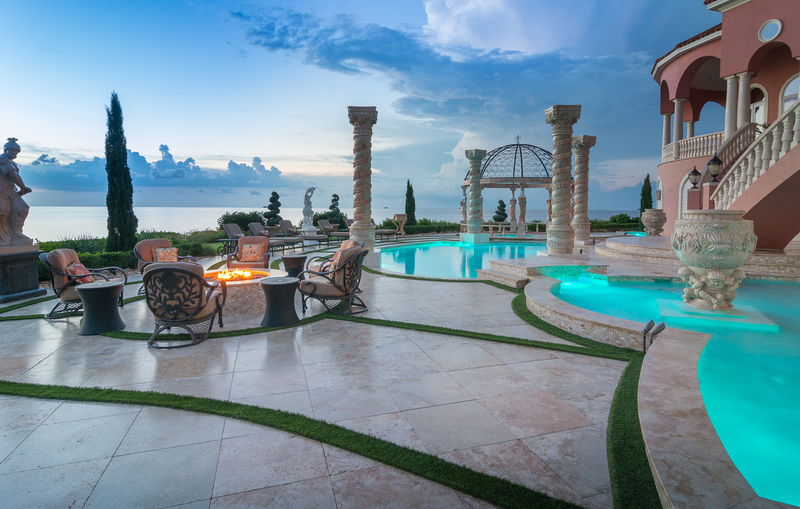 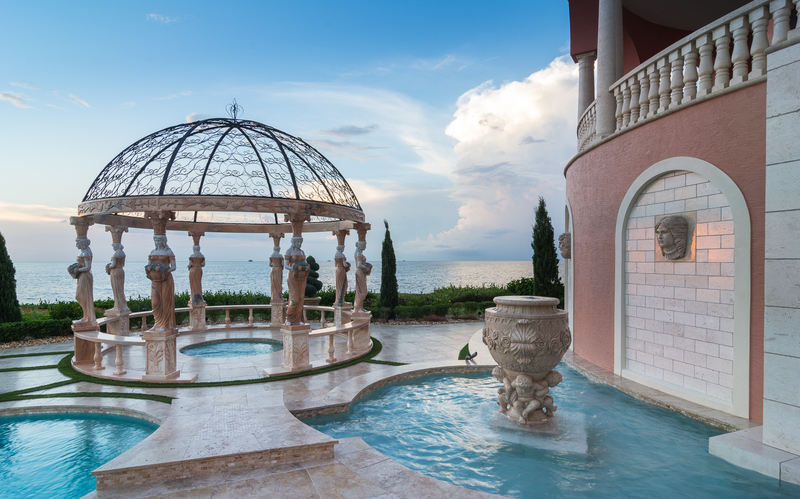 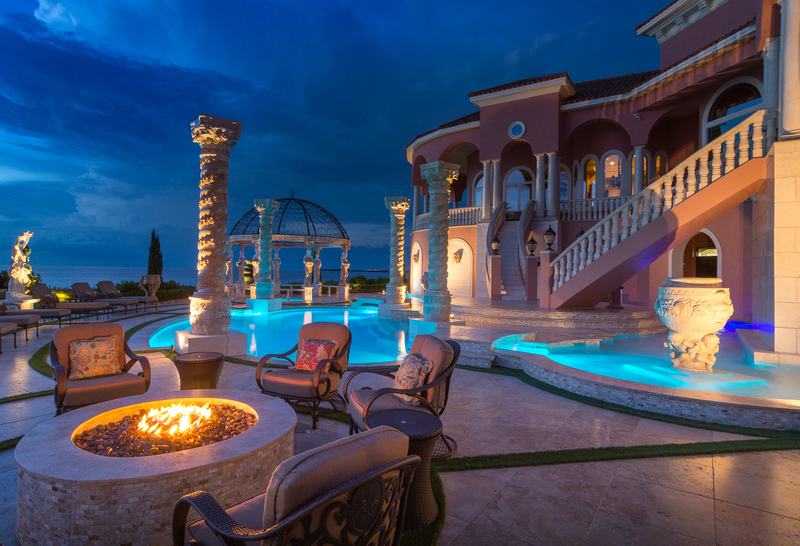 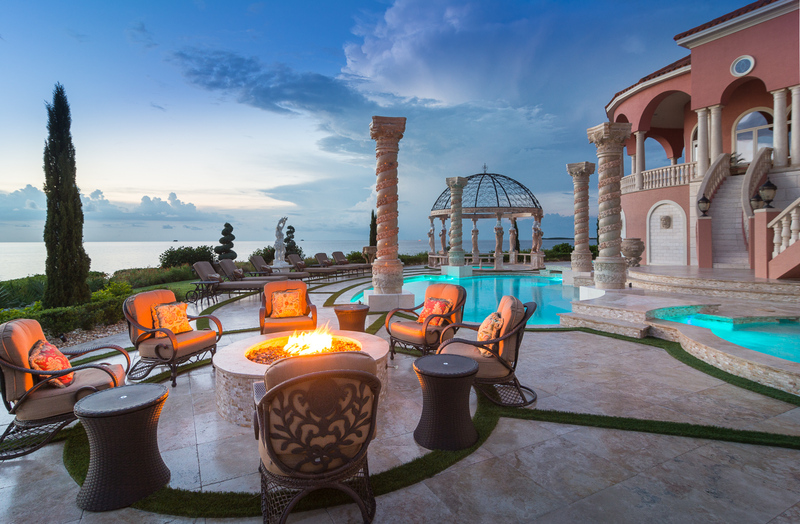 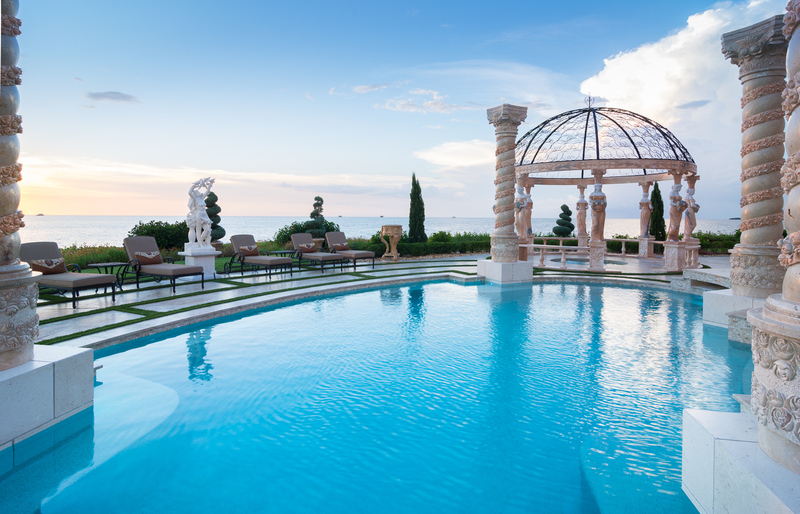 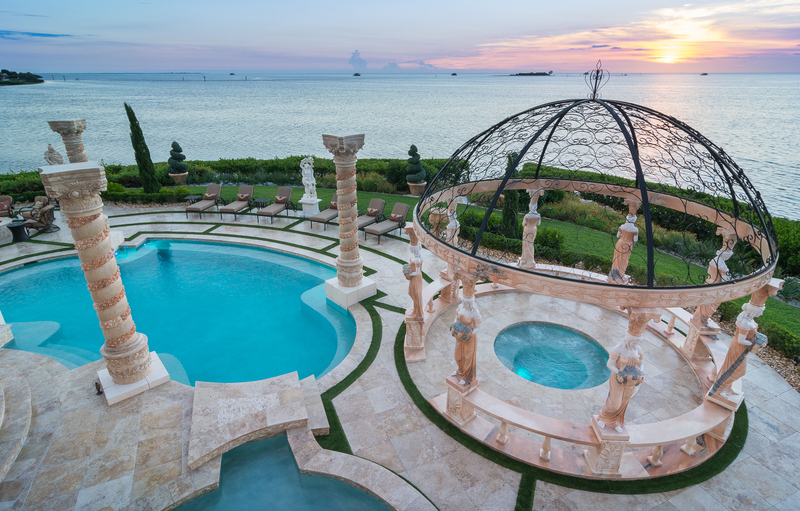 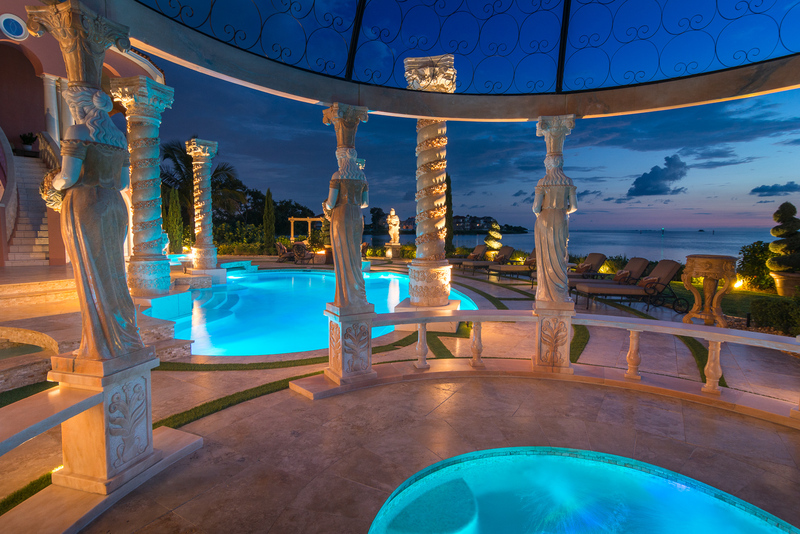 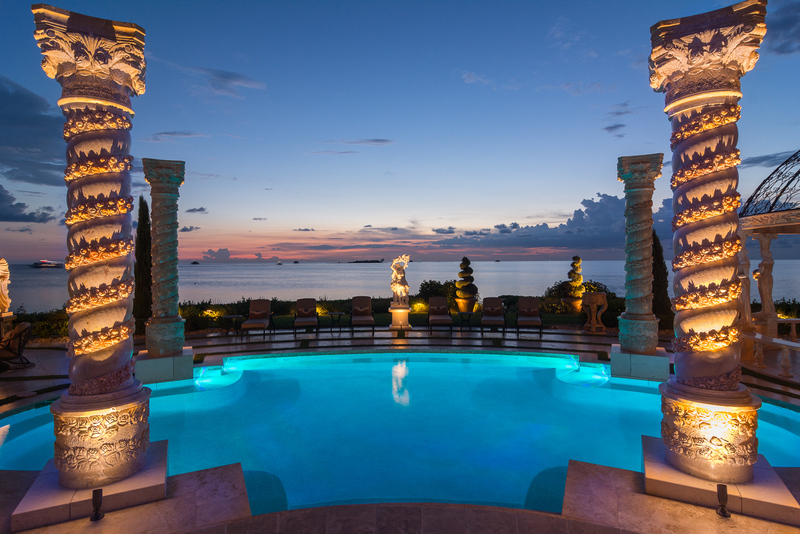 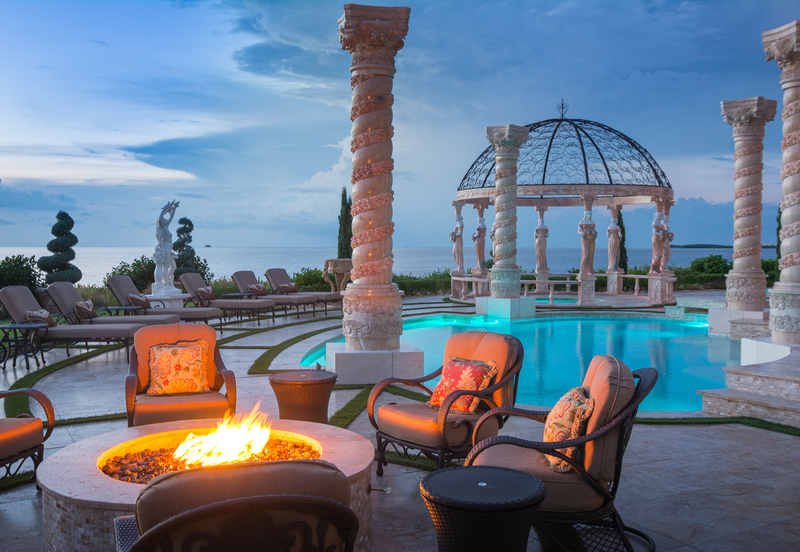 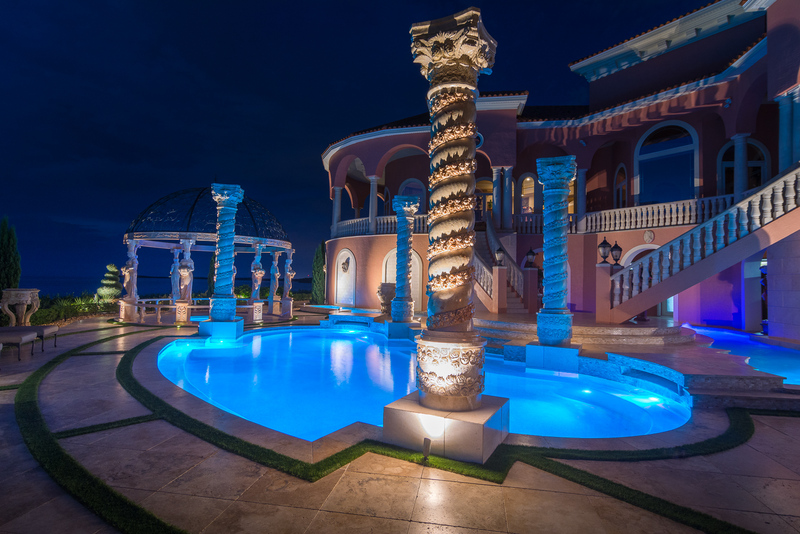 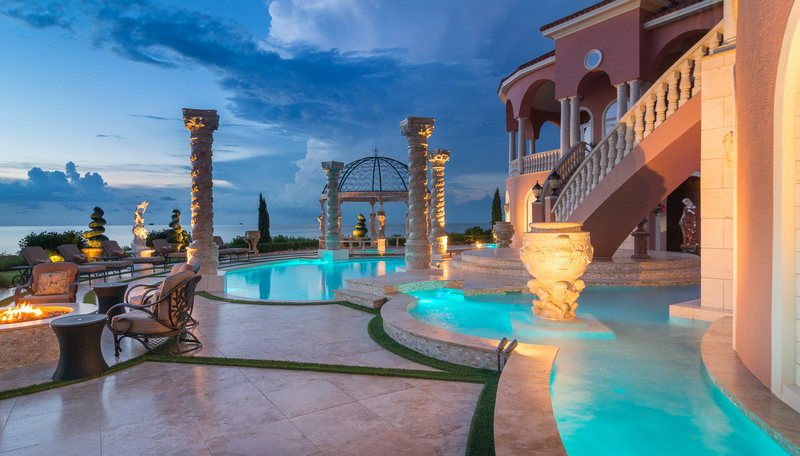 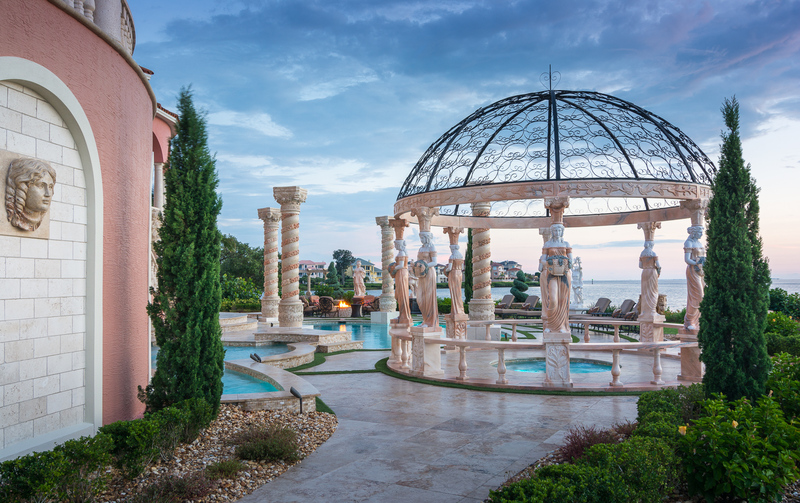 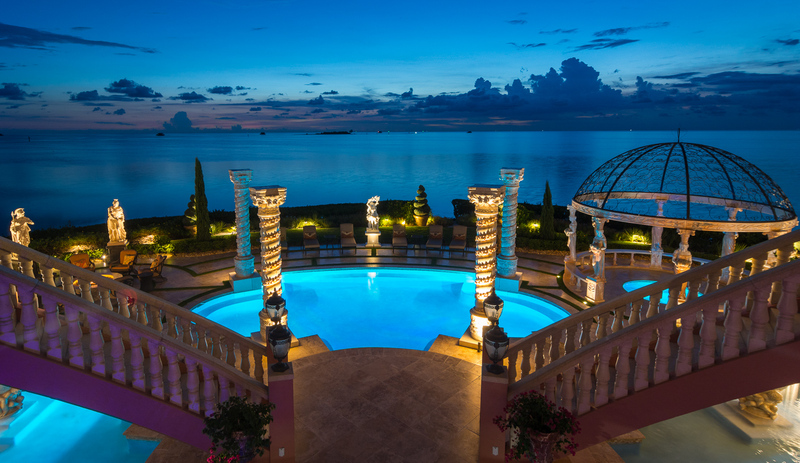 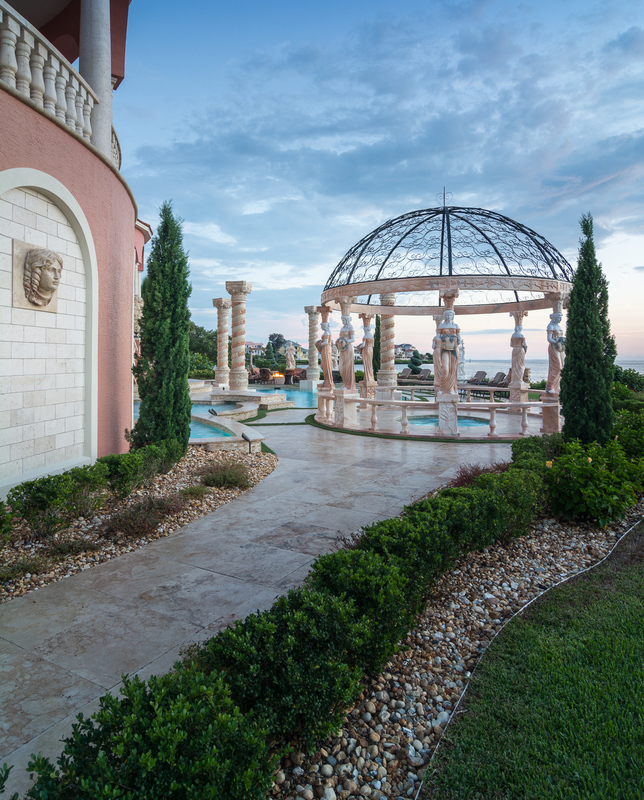 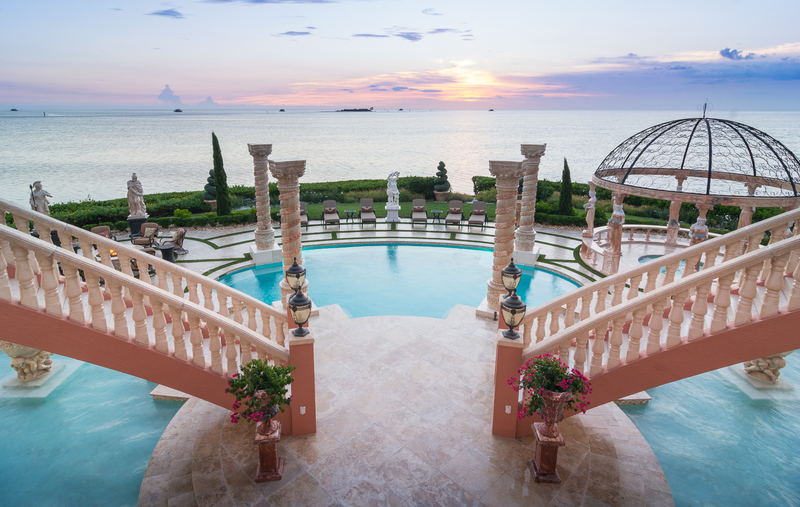 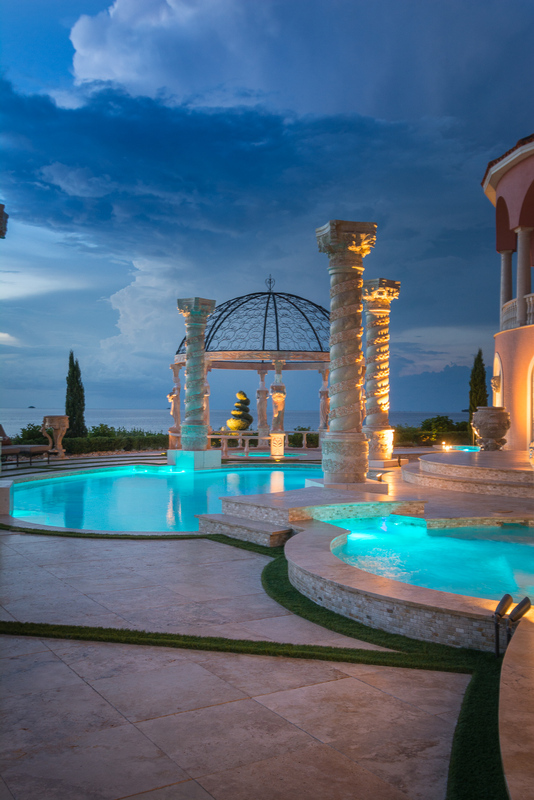 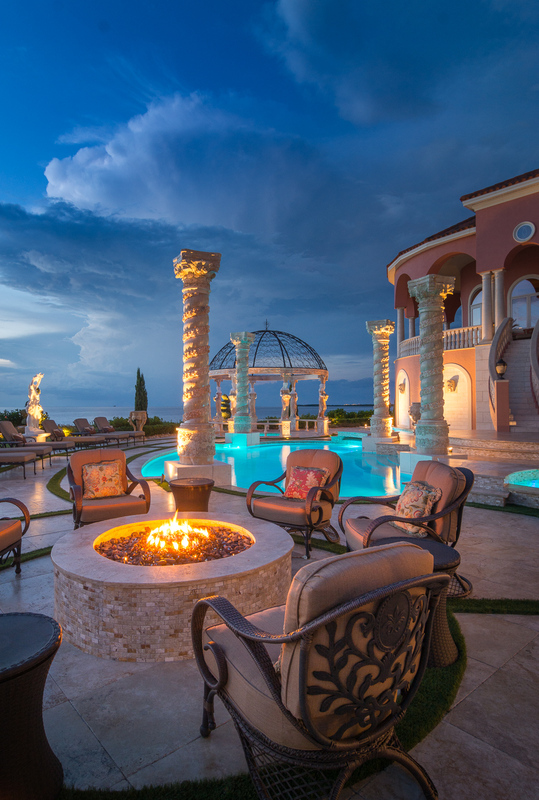 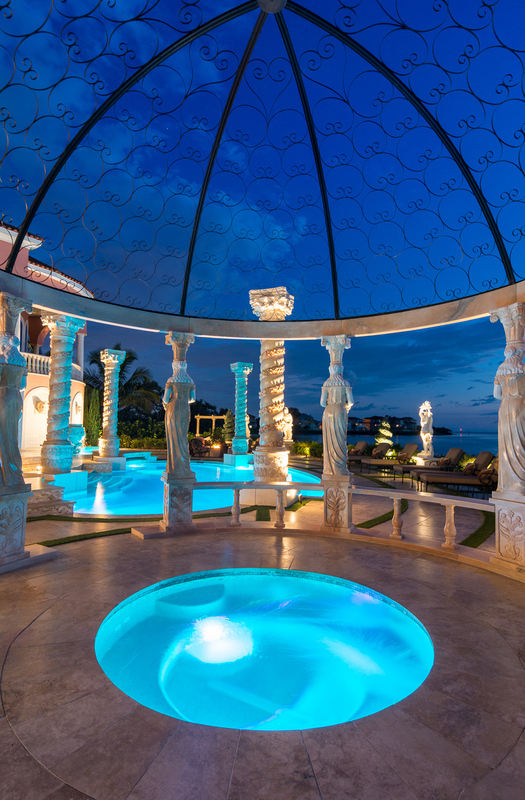 Featuring a spa surrounded by sculptures and towering columns, the 180 degree wrap around luxury outdoor living space has ample room to relax, entertain and soak in the sun and sunsets right on the Gulf of Mexico. 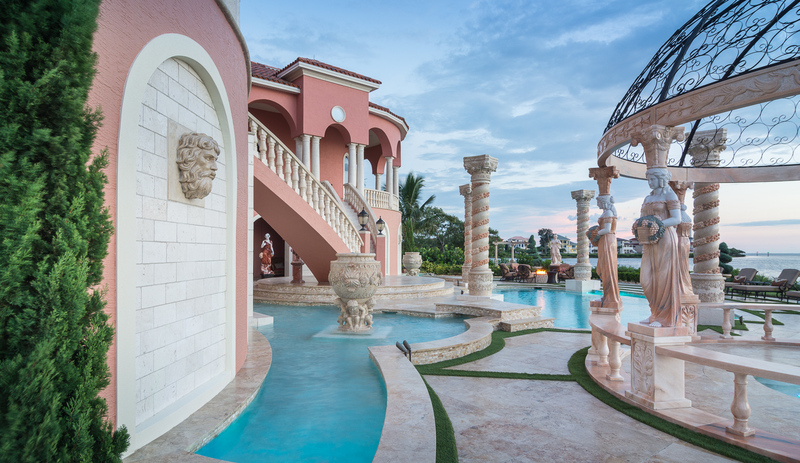 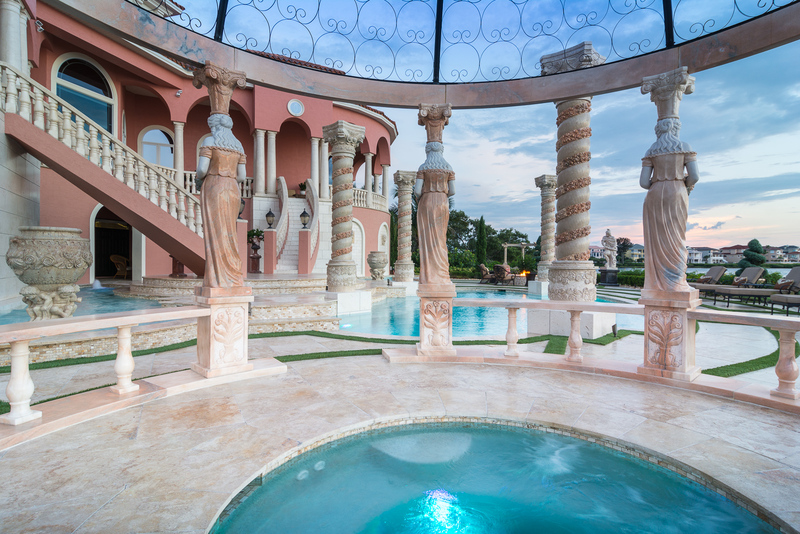 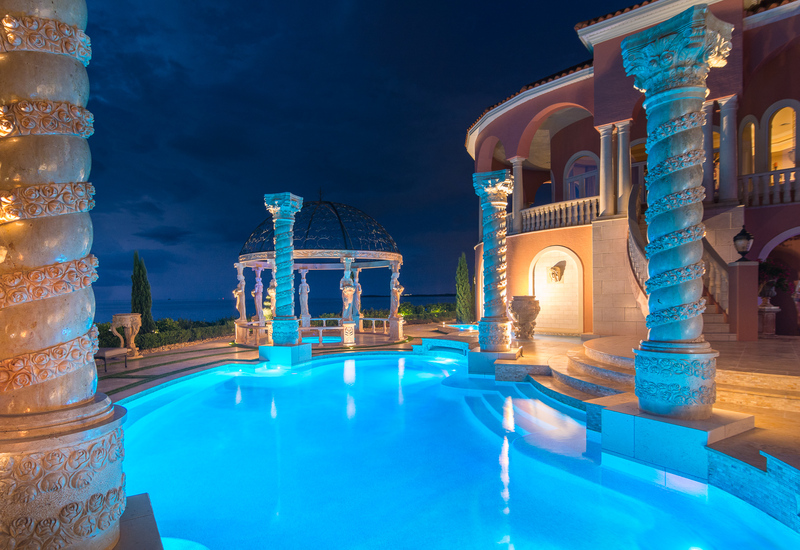 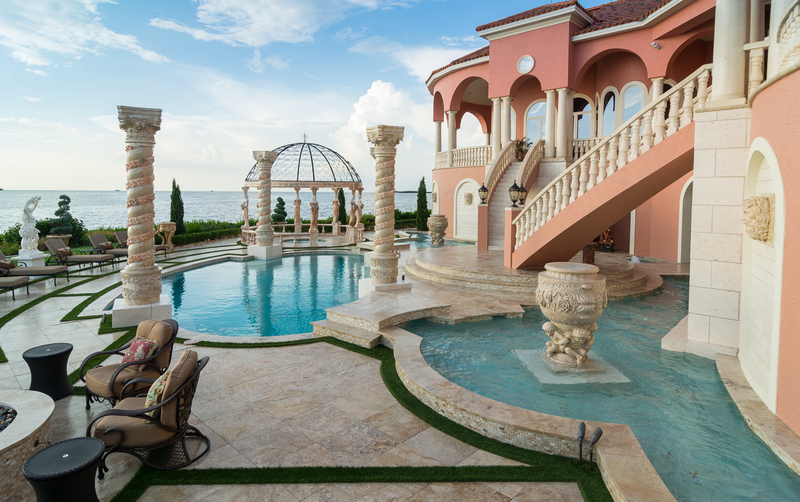 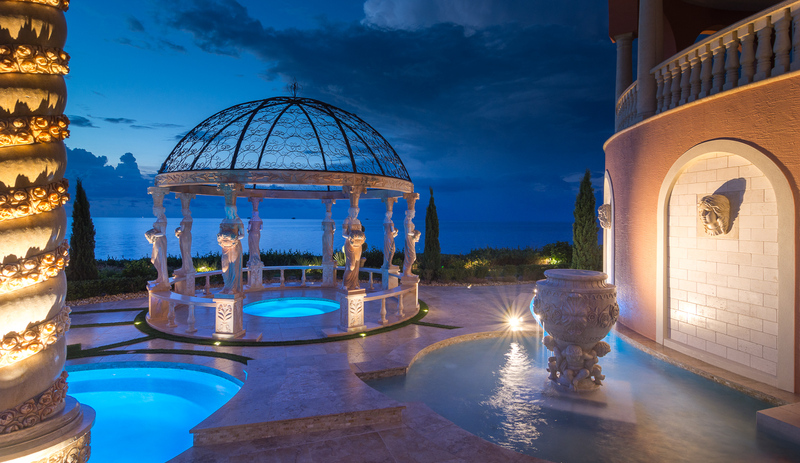 The bubbling urns and fountains seem to flow right under the travertine deck to fill the pool and spa, with curved stairs rising to the balcony to take in the majestic view of the palatial Roman Pool. 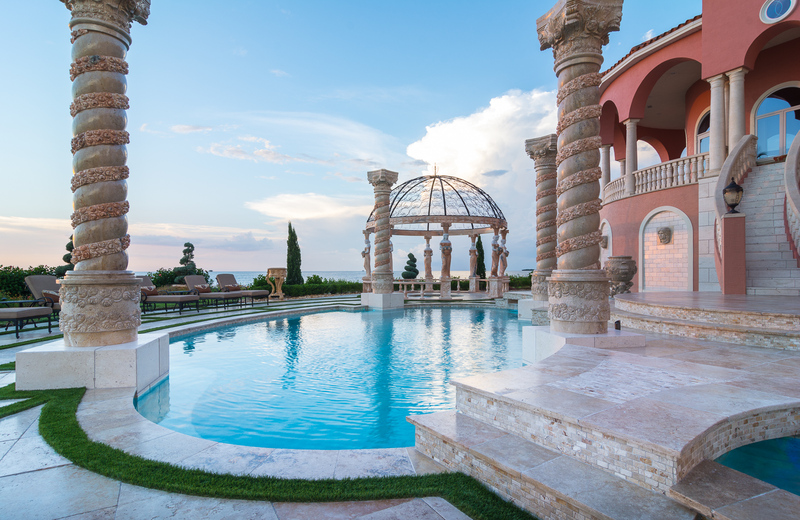 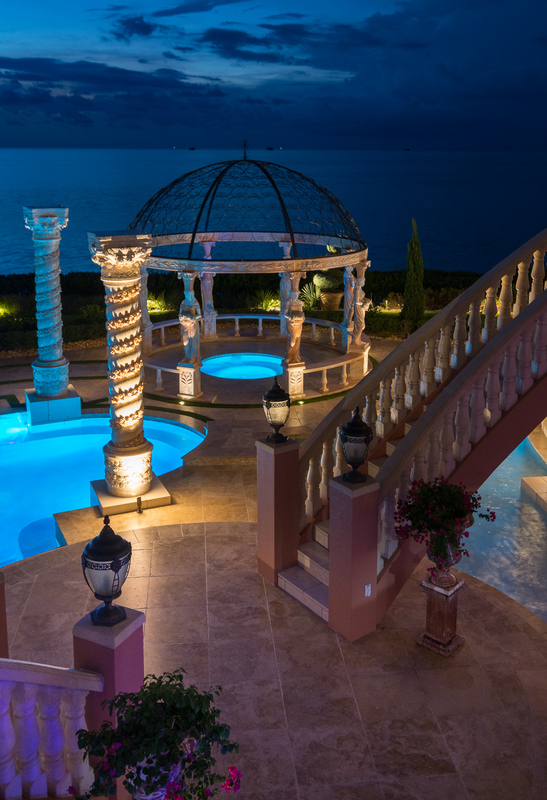 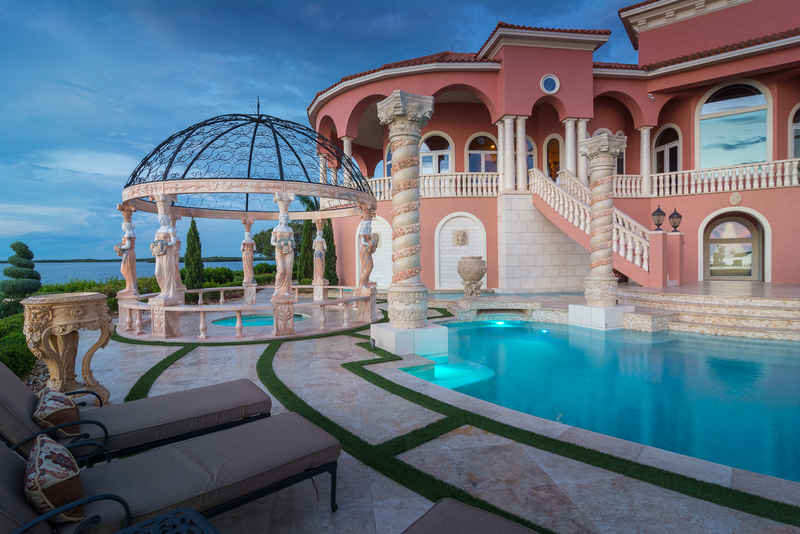 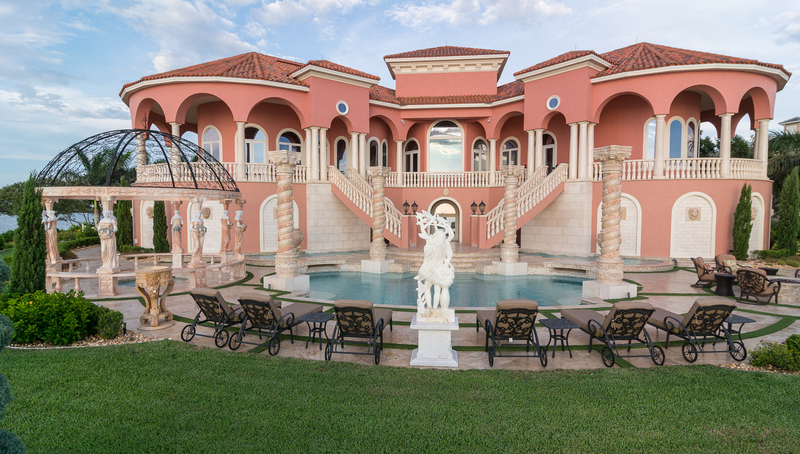 While this classical pool design differs from the traditional Lucas Lagoons pool design and build, the resulting masterpiece is truly fit for a King and Queen.